I have been a member of the Law Society Children Panel since 1996. I regularly deal with complex problems regarding children’s lives. I am also a Family Mediator – qualifying in 1996. I supervise other mediators and am able to meet with children as part of the mediation process. 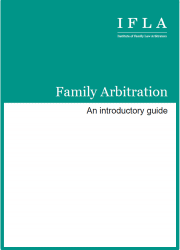 Arbitration is about making good and speedy decisions for children. I believe that my mediation expertise helps me to understand better how parents can become stuck in dispute. 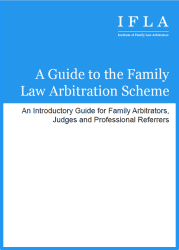 I hope that this assists me in making determinations as an arbitrator which are child focused, fair and forward looking. I always endeavour to be sensitive. 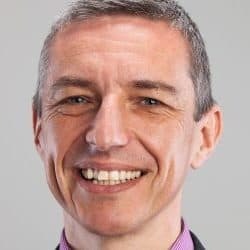 I founded my own firm in 2013 which focuses on providing all dispute resolution options whilst using technology to keep our overheads low and our charges are extremely competitive within our local market – let alone London and the Home Counties. For example, we deliberately avoided expensive city centre premises. I am very willing to work for a fixed fee and to undertake Arbitration based on papers only. I am also willing to travel to undertake face-to-face arbitration hearings.